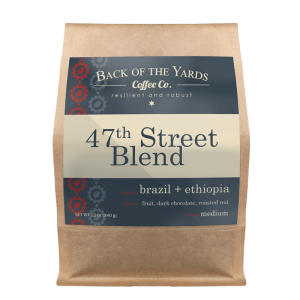 This is a Brazilian and Ethiopian blend. 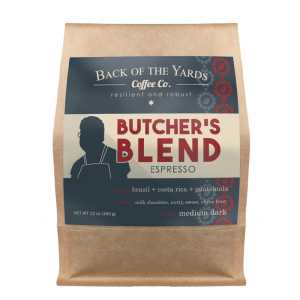 Roasted medium-dark, this blend retains some fruit/floral characters from Ethiopian beans but also gives us dark chocolate and some roasted nut characters. 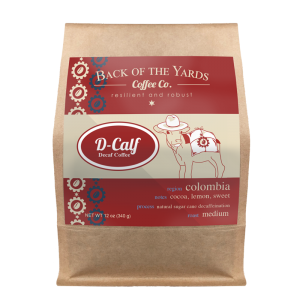 Designed to be pleasing to dark roast drinkers, while still maintaining some of the complexity that light roast drinkers enjoy. 120z. 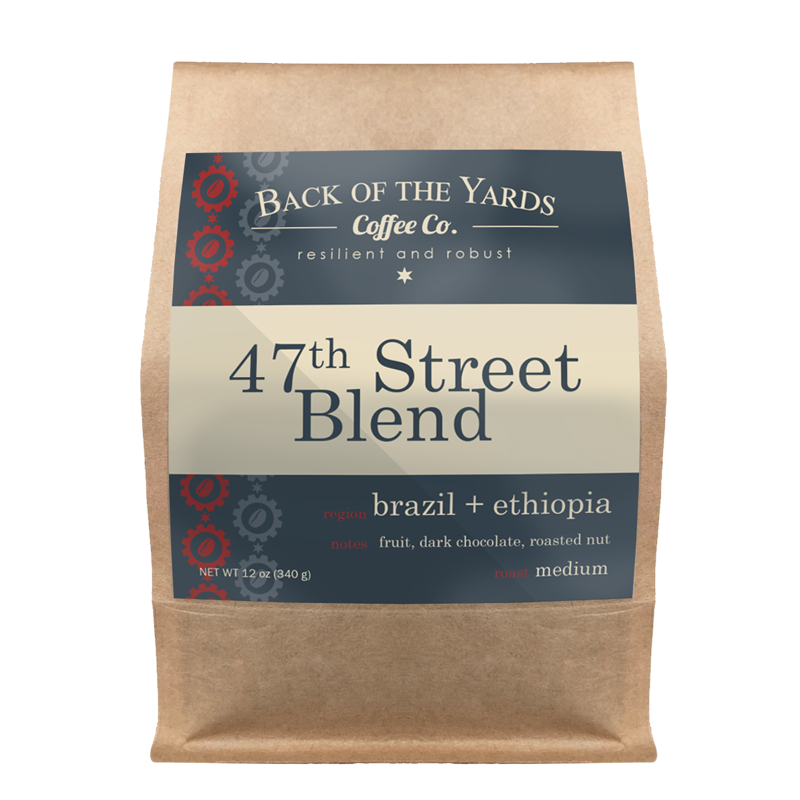 A dollar from every bag of 47th Street Blend is invested into our Social Impact fund which benefits scholarships and programs that promote peace and education in the Back of the Yards neighborhood.